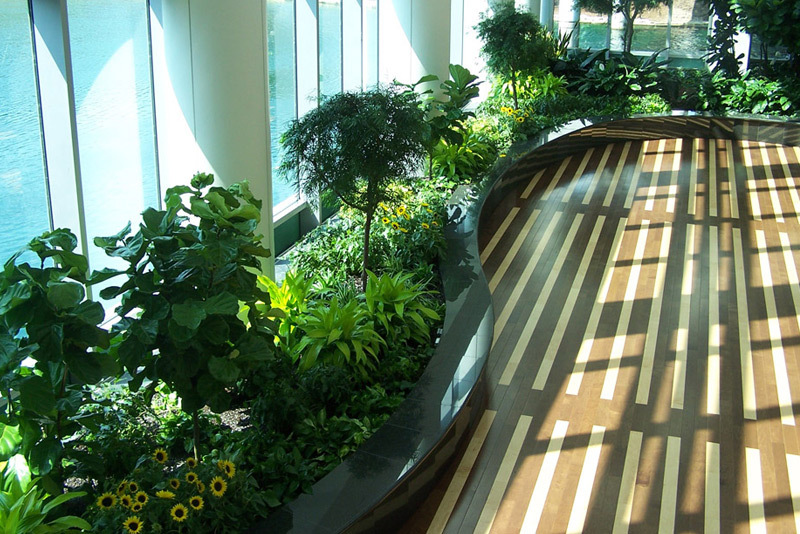 Plants are a critical addition to any green building design. Through our interior landscaping services, Phillip’s Interior Plants & Displays is proud to provide our clients with the best conditions for a healthy, beautiful interior environment. Here’s why we feel this is important. We’d love to tell you more about our eco-friendly horticultural practices. Call us today and talk to our plant specialists! It’s well documented that all living plants take carbon dioxide out of the air. It doesn’t take many office plants to do this, either. As few as three average-sized floor plants or six standard table-top plants make a measurable impact on an average-sized workspace. Experts often recommend a plant be placed within each person’s breathing zone. 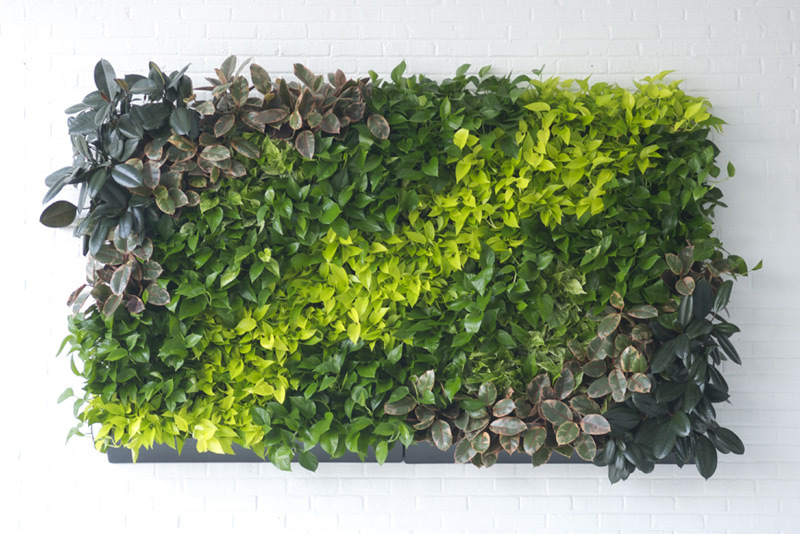 Studies have shown that office plants make a remarkable difference in worker productivity. Improve the overall comfort level in the office, because they reduce noise levels, decrease the temperature and they lower humidity in the office. Allow workers to be more focused, creative, attentive, happier, and healthier because they increase the oxygen in the air. Improve the mood and satisfaction of workers and reduce stress, fear, anxiety, and anger. Cause workers to miss fewer days of work and reduce sick-building syndrome. The combined effect of these factors work together to cause an impressive 12% boost to worker productivity. Not bad for just a few plants, wouldn’t you say? And then, of course, there’s the emotional and aesthetic appeal of plants. People want to be associated with places that look fashionable and well kept. Beautiful displays of flowers and greenery make your building look warm and welcoming, and provide a more interesting experience for your tenants’ shoppers, diners, or guests. In fact, there’s a reason that hotel rooms with a garden view are often the most requested and command premium pricing – because plants do more than just make you look good, they make people feel good. Based on averages from the U.S. Census Bureau and facility/building raw data, plants offer a $14.51 return on investment per 100 SF each month. Plants deliver a profit! 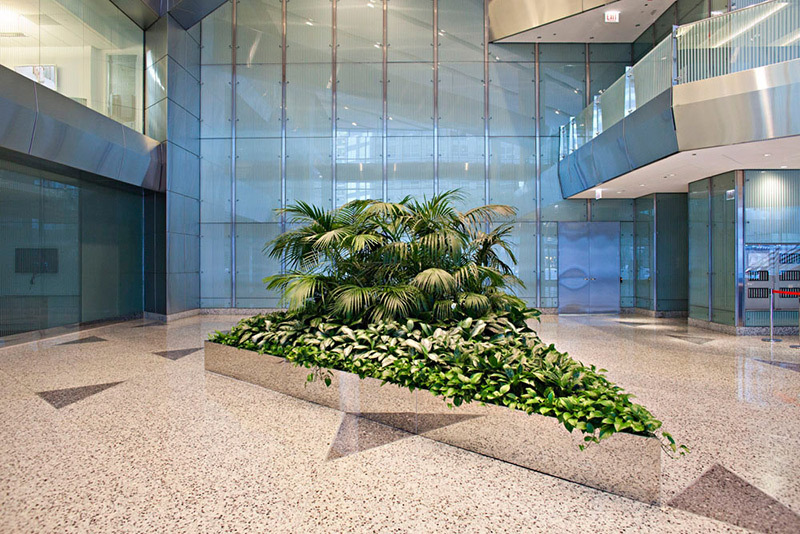 For those clients who seek a clean, healthy and beautiful work environment, plants are simply essential. To learn more about the role plants play in healthy buildings, visit the Green Plants for Green Buildings website.